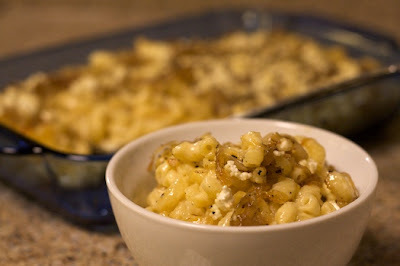 This is an index of all the mac and cheese recipes I could find in the Boston blogosphere. Did I miss yours? Leave a comment on this post and I'll add it! Jump to categories using the links below, or browse the full list. A processed product that, in some cases, doesn't even meet the legal definition of "cheese". Comes in white, yellow, or orange. Mild flavor, medium consistency. Melts easily. An Italian cheese made of cows' milk, available fresh or aged. Flavor similar to Parmesan and Romano, hard consistency. Smooth when fresh, crumbly when aged. Fresh melts more easily than aged. A cheese with Penicillium mold added, giving a distinctive appearance and smell (stinky). Can be made of goats', cows', or sheep's milk. Sharp and salty taste. Often crumbled or melted. A soft French cheese made of cows' milk, featuring a rind of white mold. Develops an ammonia flavor and smell if over-ripe. Many mac & cheese recipes call for a majority of cheddar in the cheese mix. It's a white or yellow cows' milk cheese from the UK. Hard texture, sharp taste. Multiple varieties. Most mac & cheese recipes call for sharp or extra sharp. Cheese curds. Mild flavor, soft and chunky texture. Sweet, soft, and mild white cheese. A sweet Irish cheese with a hard consistency. Has aspects of Cheddar, Parmesan, and Swiss. Marketed solely by Carbery under the Kerrygold brand. An Italian cows' milk cheese with an intense flavor. 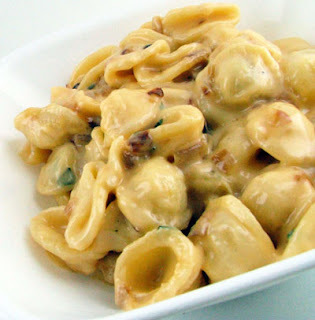 Non-Italian versions, particularly Danish, have a much milder and nutty flavor, similar to Gruyère, Emmental, and Gouda. Melts well, especially the softer, younger varieties. Gets harder with age. Soft, tart cheese made of goats' milk. Good for spreading or baking. A Dutch yellow cheese made of cows' milk. Semi-hard consistency. Young Gouda is creamy. Gets saltier, sweeter, and harder with age. A hard yellow Swiss cheese made of cows' milk. Sweet and salty at all ages. Creamy and nutty when young; more complex and earthy with age. Good for melting and baking. A Spanish sheep's milk cheese with a firm consistency and a creamy, mild flavor. Three versions are available: Fresco (aged 2 weeks), Curado (aged 3-6 months), and Viejo (aged 1 year). Gets firmer and sharper with age. Curado melts well and is often used in quesadillas. An Italian triple-cream cheese. Soft and spreadable. A semi-soft American cheese with a sheep's milk layer and a goats' milk layer. An American semi-hard cheese made of cows' milk. Often used in Tex-Mex and Southwestern cuisine. A white, semi-soft cheese with a high moisture content and a mild flavor. Can be made from cows' milk or water buffaloes' milk. A soft, mild-flavored American cheese similar to sharp Jack or white American processed cheese. The American version is softer than cream cheese and often called farmers' cheese. The French version is salty, crumbly, and soft, with a mushroomy flavor. A hard Italian cheese made of cows' milk. Umami flavor due to high glutamate levels. A hard, salty, crumbly Italian cheese made of sheep's milk. Grates well. Creamy, soft, mild Spanish cheeses. Blanco is usually made from cows' milk; fresco is made from a combination of cows' and goats' milk. A fresh, creamy Italian cheese made from whey. Soft and perishable. A North American cheese in the style of Swiss Emmental, often featuring holes called "eyes". The larger the holes, the sharper the taste (due to a longer fermentation period). A soft or semi-hard French cheese made of cows' milk. An American processed cheese product. Smooth and 'velvety'. From the Italian words for corkscrew. A spiral shape - like multiple pieces of macaroni put together. Generally has grooves on the surface. Like elbows, but shorter and without a bend. 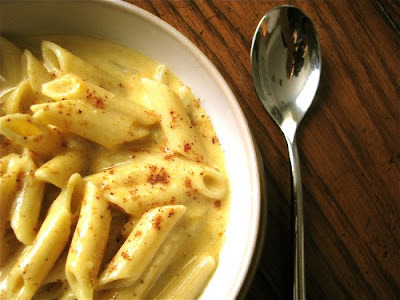 Thick, wide ribbon-shaped pasta, often found in dishes like beef Stroganoff and various casseroles. From the Italian word for 'butterflies'. Also comes in large (farfallone) and mini (farfalline) varieties. A flower-like shape, similar to Rotelle. A strand twisted into a spiral; looks like two tubes twisted together. Comes from the Italian word for 'twins'. Wide, rippled sheets of pasta. The name actually refers to the type of dough (egg-less) rather than a shape, but here it generally refers to the familiar elbow shape. A cylindrical shape that can be ridged or smooth. A variety of sizes are available. Corkscrew-shaped, but with a tighter twist than fusili.